This sweet little white cotton dress was made in the 1950s by Nannette. 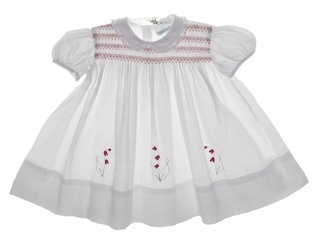 It features a smocked yoke with red embroidery, a Peter Pan collar trimmed with lace, and short puffed sleeves. 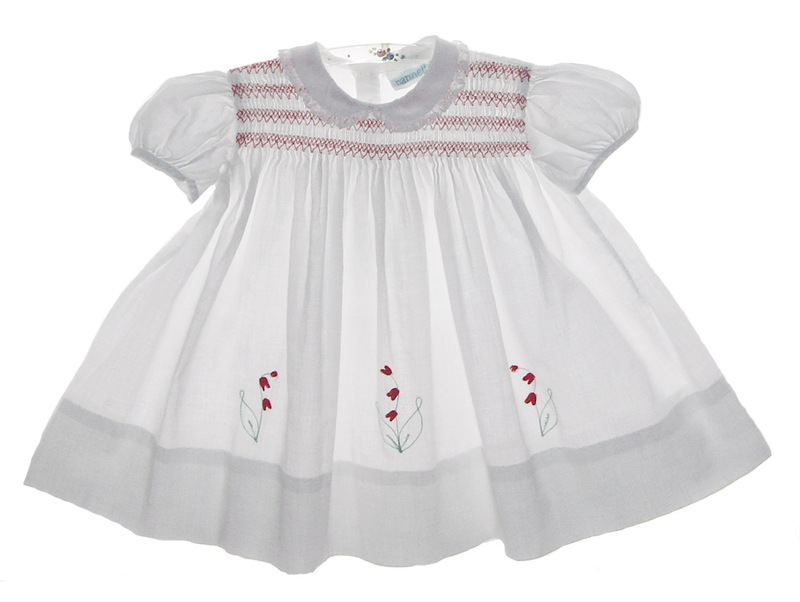 Typical of better made baby clothes, it has a deep 3" hem, topped with with embroidered red flowers. The dress closes in the back with small buttons. This is the sweetest little classic portrait dress, Valentine's dress, or Christmas dress for your baby girl!